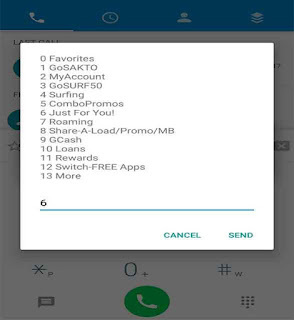 Globe gives reward to their active subscribers and aside from that, they also give special promo just for you when you access their *143# USSD code menu. If you’re a long time Globe user, I’m sure you already know where to find and how to register this offer. 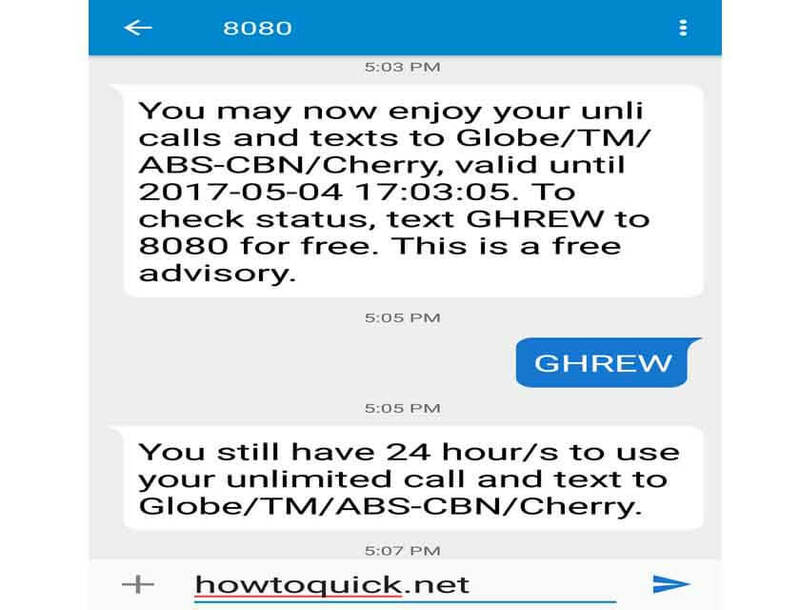 For only 10 pesos 1 day you can enjoy unlimited call and text to Globe, Touch Mobile ‘TM’, Cherry Prepaid and ABS CBN Mobile with GHREW. For 1-day you can call and text your love ones without hurting your daily budget. 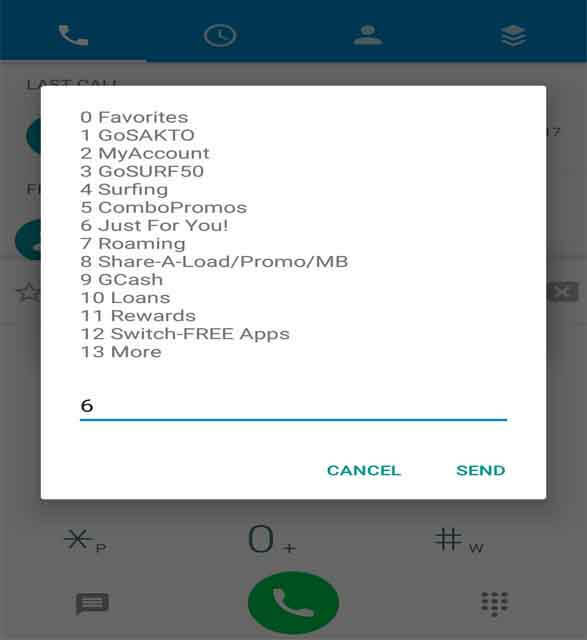 Not just one SIM user, but within Globe circle of network. Registration to GHREW promo can be done via USSD menu using your Globe account. Just dial the *143# using your mobile phone, then look for the option ‘Just for You’ press the corresponding options on the number provided. I’m not sure if this is available to all subscribers, you can check it and let us know if this offer is available on your prepaid account. Just reload your account for only 10 pesos and see how I subscribe to GHREW promo. Select option 6 – Just For You! Wait for the SMS confirmation and that’s it. You can also above steps 1-3 then select Status to receive status update of this promo. 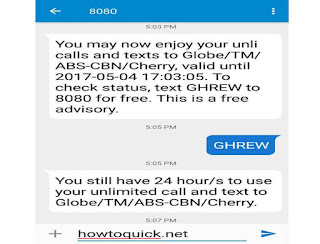 Wait for the SMS notification from Globe regarding the remaining hours balance on your call and text subscription.